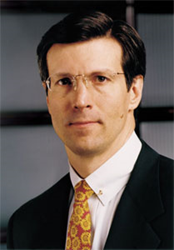 FSXinterlinked is very pleased to announce that David Weild, former Vice Chairman of NASDAQ and “Father of the JOBS Act”, will deliver the keynote address at the FSXinterlinked investment conference Oct. 29th through Nov. 1, 2014 at The Rtiz-Carlton Dove Mountain, near Tucson, Arizona. Weild, who currently is the Founder, Chairman and CEO of IssuWorks, will speak on the JOBS Act and recent regulatory changes that affect companies raising capital and investors’ dealings with emerging-growth companies. Prior to his current position, Weild spent years running Wall Street investment banking and equity capital markets businesses, and has overseen the marketing, distribution, pricing and aftermarket stabilization of more than 1,000 public offerings during the course of his career.